Follow these steps and you should be safe as houses! 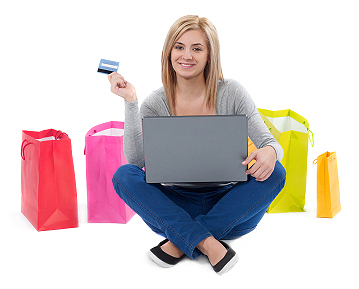 Security while paying online is one of the biggest concerns for the shopper during an online transaction. In reality it is extremely rare for criminals to access your card details or take a payment for products or services that they never intend to send to you. However rare doesn't mean never. Where applicable, you will see below each section of advice steps we take to help combat online fraud and criminal behaviour from the off. Make sure you use a secure website to enter credit card information. Secure websites will use a padlock symbol in the bottom right of the browser and the website address begins with ‘https; rather than 'http'. Don’t be fooled either by a simple padlock image in the body of the website itself. You need to look for one that is in the browser itself. Click on the padlock to check that the seller is who they say they are and that their certificate is current and registered to the right address. Always make sure you have the right virus, spyware and malware protection on your computer and always keep it up-to-date. This give you the best level or protection. You don't have to pay a small fortune for them either. Many free anti-virus programmes such as AVG are very good. Use the latest version of your chosen browser and set the security settings to high. Also never miss an update. These can be a pain but they will make you safe. Some browsers, such as Firefox, have virus protection built in - however this should not be substituted for proper virus protection. Using a credit card for online payments can be a good idea. You are offered a higher level of protection if anything goes wrong and it is easier to trace a merchant. This doesn't just mean for fraud but if you have not received your item or it is damaged. You can also do a 'Chargeback' if all else fails. However regardless of whether ou use a credit or debit card you do have the protection of the Consumer Credit Act 1974. Did you know that you can now Chargeback if you have paid on your debit card? The banks who issue debit cards have only recently agreed to this, and there is still confusion over how it all works. Therefore if your bank refuses to recognise this new facility keep going. When on a website looks for a physical address and telephone number. A PO Box doesn't mean anything dodgy is going on, however these can be harder to trace if the worst happened. Check privacy policies and terms and conditions. As a merchant it's part of the Visa and MasterCard rules to have these on a sellers website. If they are not on there ask yourself why not? Do some digging and Google the company to see if anyone else has had problems. What do people say about them? Do remember that the person who said "the customer's always right" was mostly likely a customer. Therefore be careful of reviews from people who could simply have an axe to grind when in fact they were in the wrong. Also it's not only customers who can leave feedback, so can competitors. When setting up a merchant account for a customer we spend a lot of time on due diligence, investigating the business, their terms and conditions, privacy policies and also the person(s) running it. We also use one of our greatest tools - Google. This helps us see what people are saying about a company. Be very wary of anything that is offered in spam or unsolicited email. Especially the ones from banks. Never navigate to sites by clicking links in an email. Whenever possible, enter the url (web address) manually. If you think you're being redirected somewhere you shouldn't be close the browser straight away and run a virus and malware scan. Finally if a price looks too good to be true, it probably is. We will NEVER send a merchant an email or a link direct to a website asking them to enter their banking or card details. We DO NOT hold any card details whatsoever. Therefore if a customer who has recently made a purchase on a website that uses our merchant account system is experiencing problems, we will not provide ANY merchant details. When shopping online it can be easy to make a mistake, and sometimes what you receive isn't what you expected. When this happens there are laws and regulations that give you extra protection. Under the Consumer Protection (Distance Selling Regulations) 2000, you can cancel your order anytime from the moment you place it up to 7 working days from the day after you receive it. However there are certain items you can't return if you simply change your mind - Personalised or tailor-made items, perishable goods such as food and flowers etc. and also CDs and DVDs if you've broken the seal. All merchants are made aware of the rules, regulations and laws that they must follow when setting up an online business.